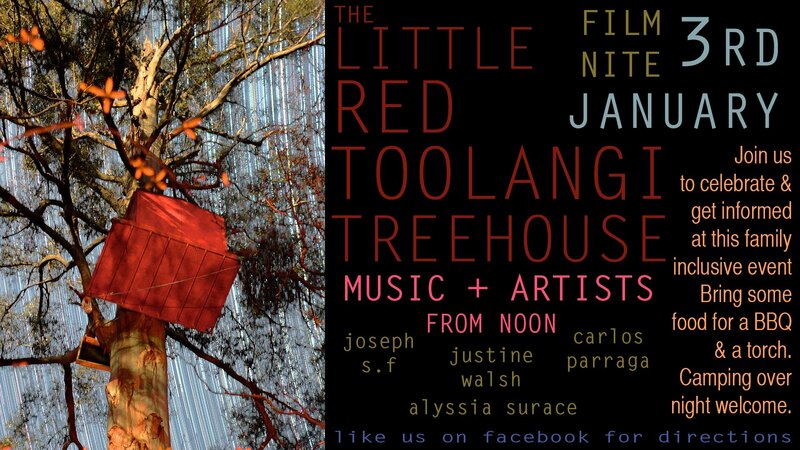 Raising awareness of the Central Highlands logging issue before it’s too late has gone to new heights, a free event has been organized for this Friday 3rd January 2014 at the Little Red Toolangi Tree House approx 3km down Yea Link Rd off Sylvia Creek Rd in Toolangi. Come along if/when you can, music in the afternoon and the movie night starts at 9pm showing footage of Leadbeater’s Possum (taken just a short walk from the tree house) and more. See attached. Please send out to who ever you think may like to attend. Friends of Leadbeater’s Possum will be holding a sausage sizzle at the Bunning’s Hardware Store on Maroondah Highway Chirnside Park to raise funds to enable the group to continue its work to preserve the habitat of Leadbeater’s Possum. The AGM of FLBP will include a early pizza dinner and wine tasting (from Yarra Valley’s “Broken Back Winery”). There will be merchandise for sale throughout the evening. Peter Preuss, author of “Bred to be Wild”, will give a presentation on the life and times of Des Hackett who is the subject of the book and the first person to bred LBPs in captivity. Committee elections will be held – so please consider taking an active role. Memberships are due and can be paid on the night. Venue: Tanglefoot Picnic Grounds, Sylvia Creek Road, Toolangi. Travel to Toolangi via Healesville/Yarra Glen/Kinglake. Approximately 10kms along Sylvia Creek Road from the main Toolangi Road. Bring: Picnic lunch, chairs or rug and wear or bring warm clothes, as it can get very cold in them tha hills! Love Forests is a dramatic story about Victoria’s forests, told in creative ways by the people who love, live near, and campaign to protect them. Victoria’s forests are incredible places — their story deserves to be heard by everyone. Love Forests is a chance to connect with the majesty and value of Victoria’s native forests and learn about destructive logging and the plight of plants and animals that call these forests home. Through a collection of paintings, photographs, sculptures, sketches and moving images, The Wilderness Society and MyEnvironment have transformed Gallery ONE THREE to reflect the beauty and fragility of these precious places. In the lead-up to National Threatened Species Day, come along to this thought provoking exhibition! Sunday 1st September, Family Preview Day, activities 2pm to 5pm but open all day – treat your dad on Father’s Day to this free preview or take your kids down to learn about the forest. As well as inspiring art work, there will be interactive activities, a free art class for kids, media booth if you want be part of a short film. Monday 2nd September, Launch Event!, 6pm start – Guest speaker – Zoe Tuckwell-Smith, Complimentary finger food, drinks, and music! Thursday 5th September, Wilderness Action Group session, 6pm to 8pm – Our usual monthly session will take place in the gallery with, campaign updates, banner painting, letter writing activities. Open to all. Saturday 7th September, Art Class in the day (1pm to 2.30pm) and Closing Party in evening (5pm onwards) – Art class for adults with ecological artist Aviva ($12 suggested donation). Closing party in the evening with an National Threatened Species Day / Election Day theme!